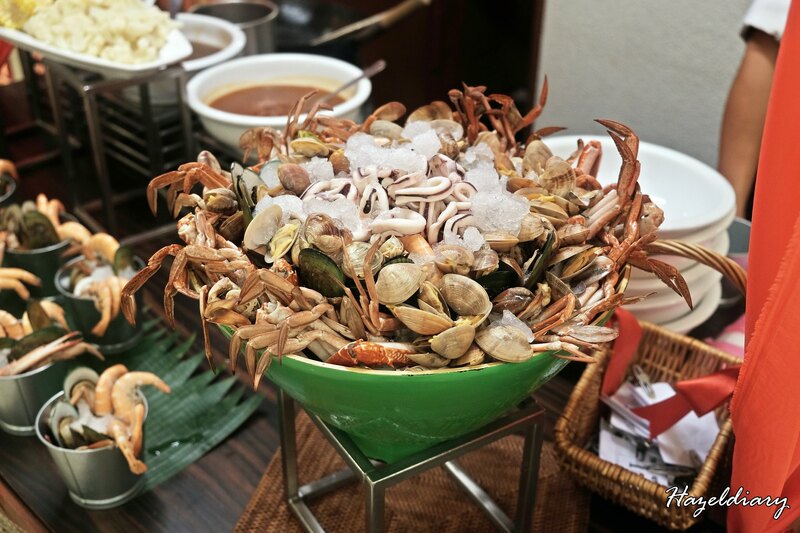 KK invited me to Seri Mutiara Restaurant for the seafood buffet on a Saturday night recently. 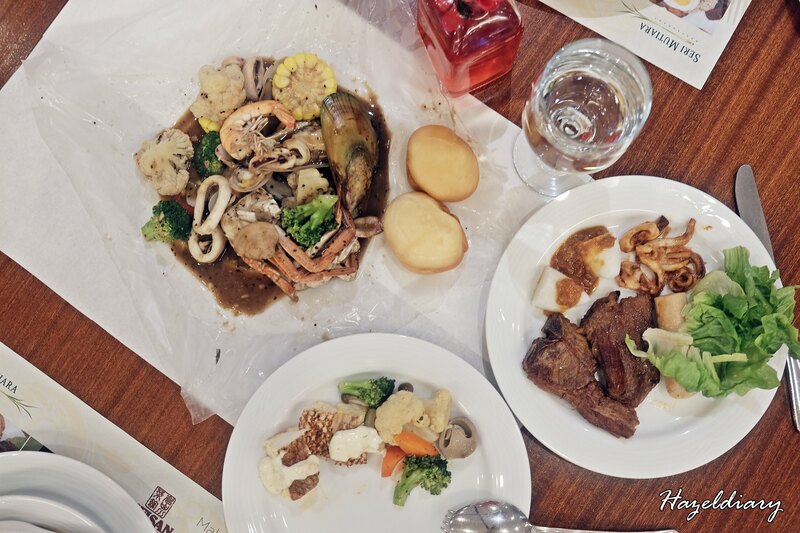 Seri Mutiara Restaurant is located on the ground level of Mutiara Hotel Johor Bahru. If you are a frequent shopper at Holiday Inn Plaza, you will probably know the exact location of the hotel. The building is just next to it and it is a short distance away from KSL Mall. 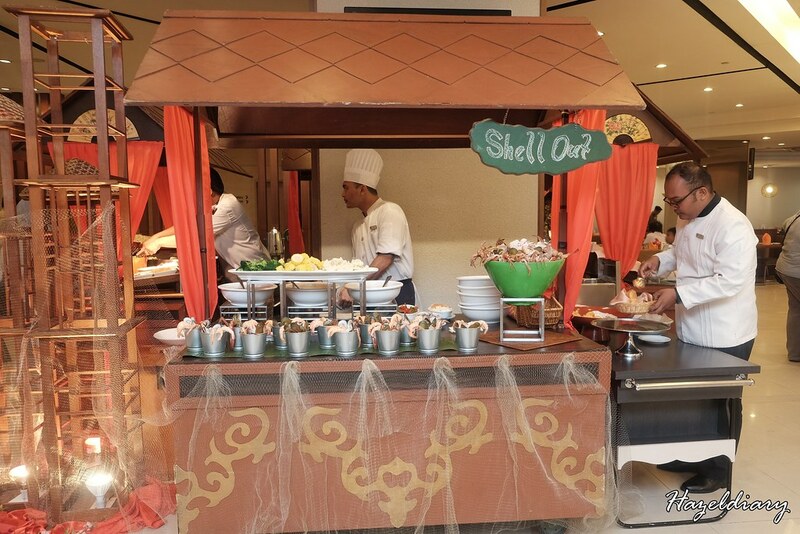 What to expect from the Saturday-only buffet dinner apart from the standard buffet spread? 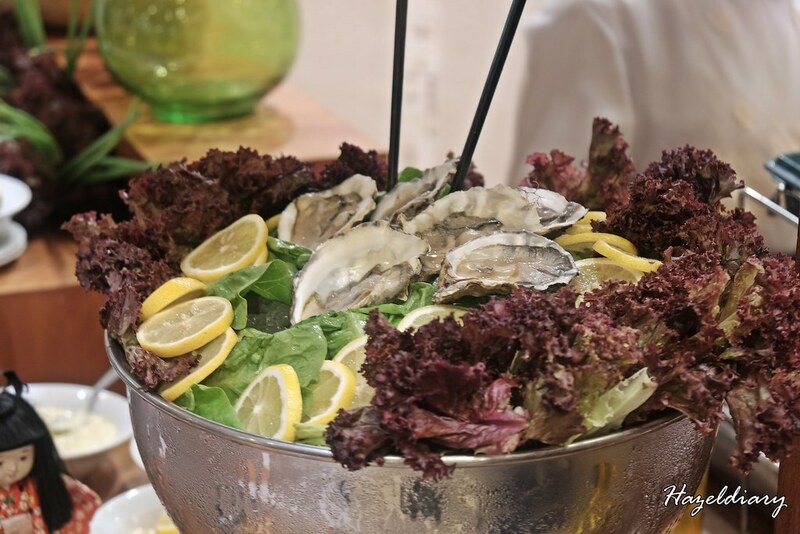 Oyster lovers would be delighted as Seri Mutiara Restaurant offers ocean-fresh catches including oysters. 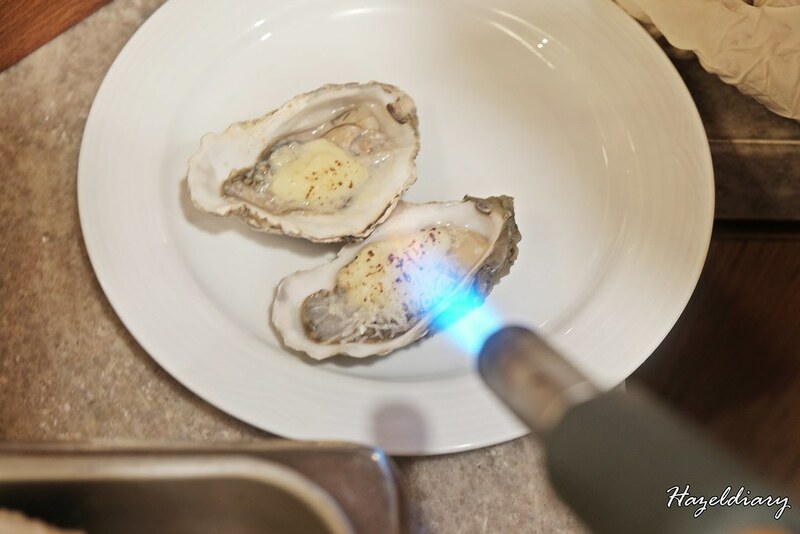 Diners can request for the oysters to torch with cheese just like we did. 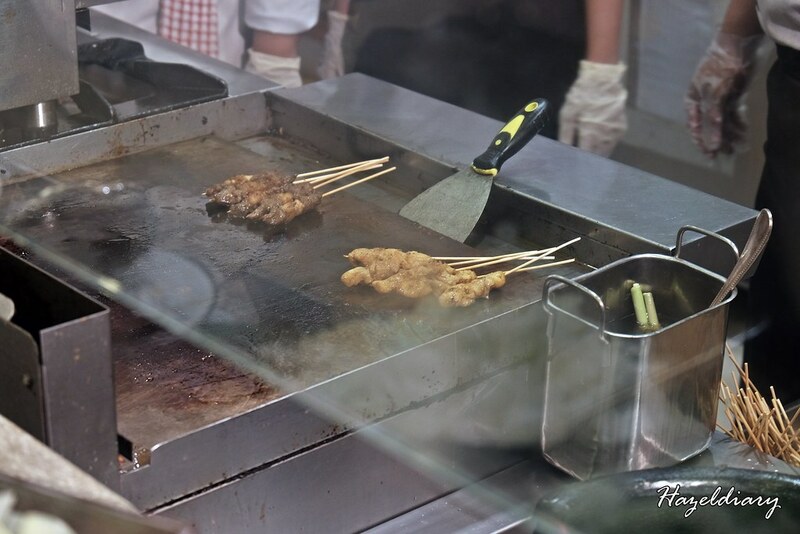 There is a grill BBQ station which a wide selection of ingredients to choose from. 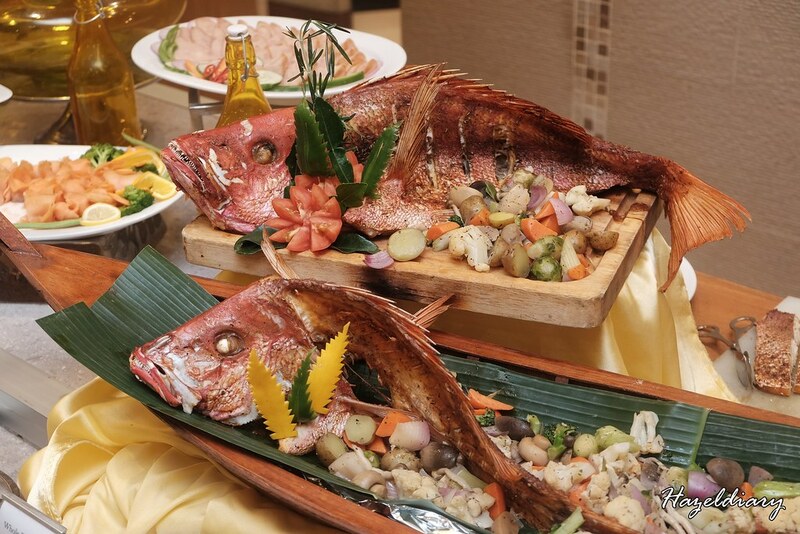 Diners can choose the ingredients and the staff will get it grilled on the spot. My favourite grilled item is the lamb meat. It was not gamey at all. 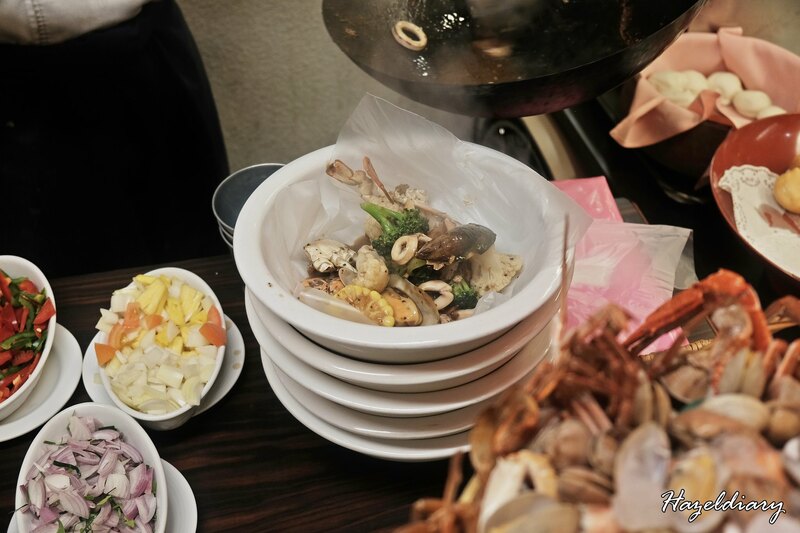 The ingredients include chicken, satays,beef, sausages, lamb, squid and many more. There are quite a number of live stations you can check it out. 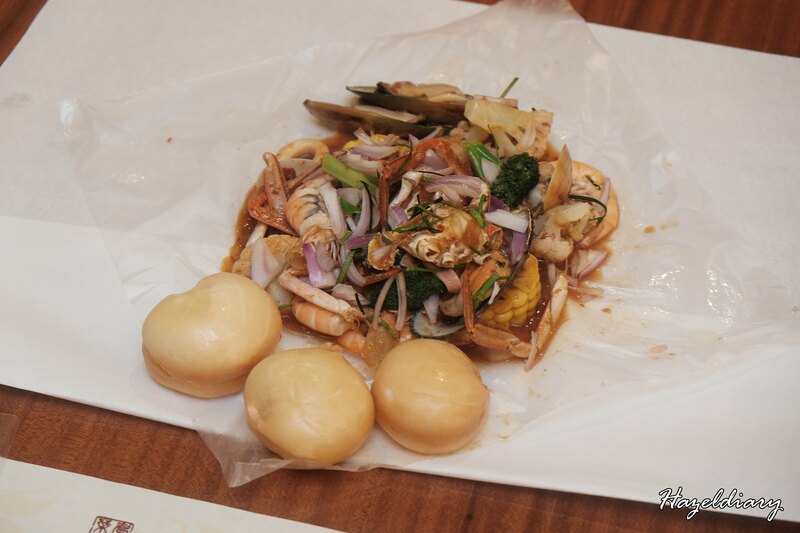 One of it is called “shellout”. This reminds me of the famous Cajun-style seafood. Diners get to choose the choice of the sauce- Tom Yum, Sweet & Sour or Black Pepper sauce. It was then prepared upon request. 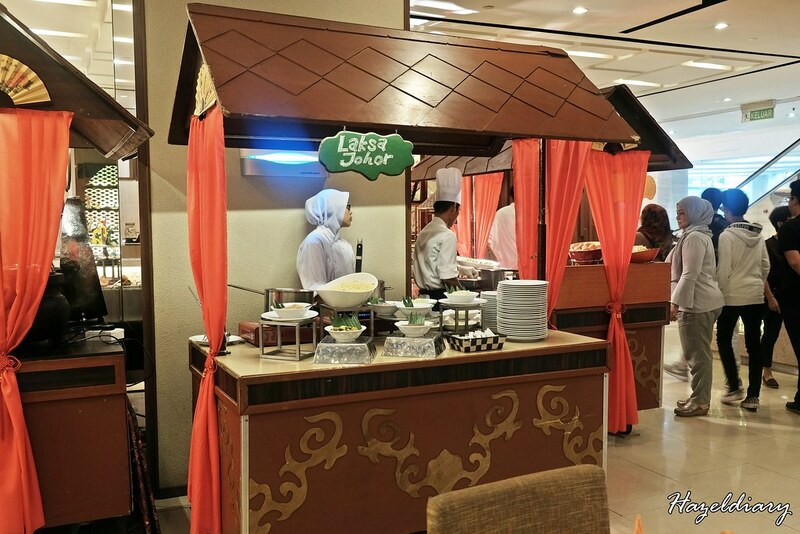 And not to miss out the laksa Johor station where you get to try the unique version of laksa Johor. It is different from other states of Malaysia. 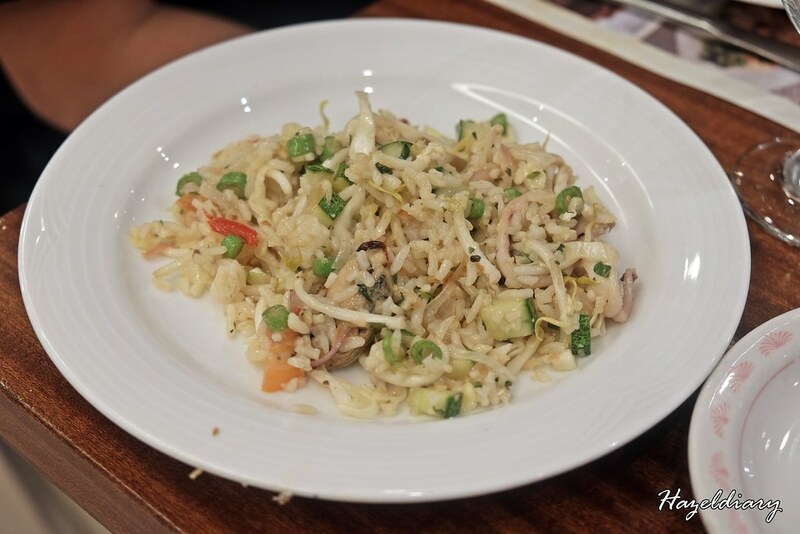 Also, keep a look out for the Seafood Kerabu Fried Rice which is around the corner. Oh well… there is always a space for dessert. 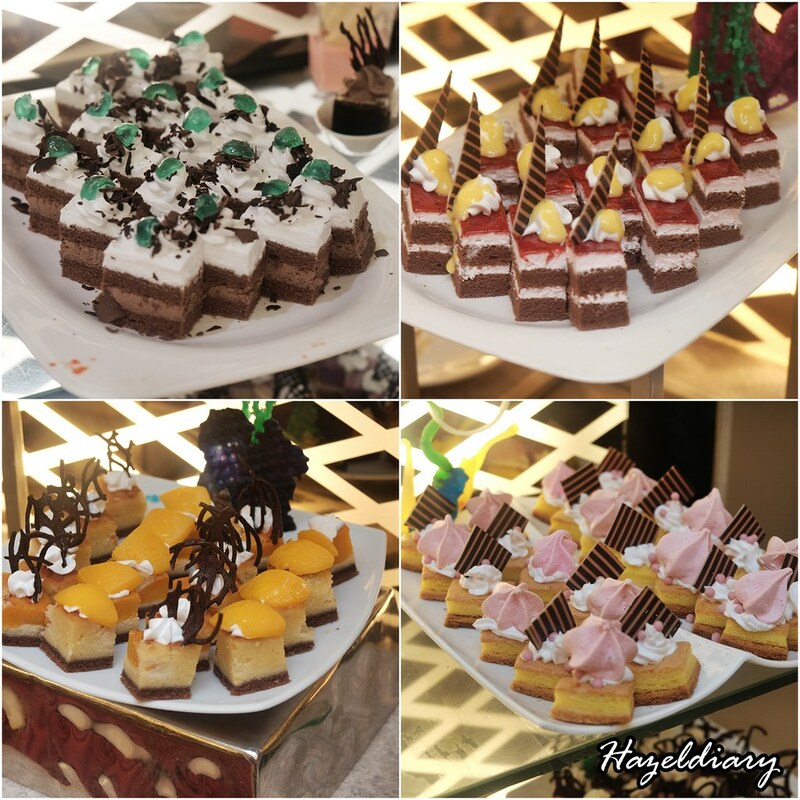 The desserts are made by in-house pastry chef. 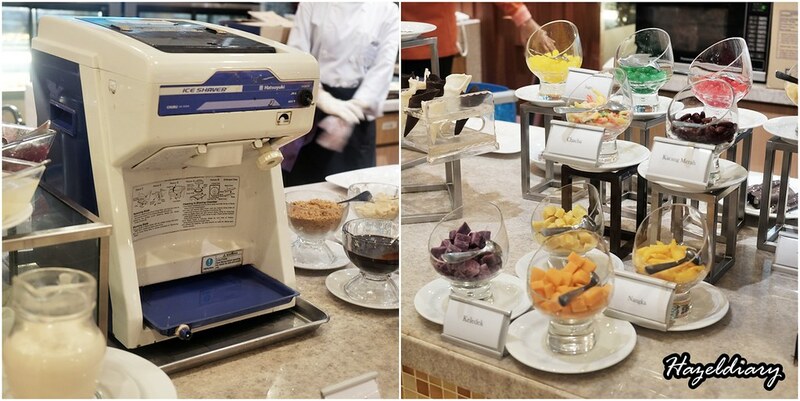 Expect to enjoy variety flavours of the bite-size cakes and DIY your own ice-kacang. 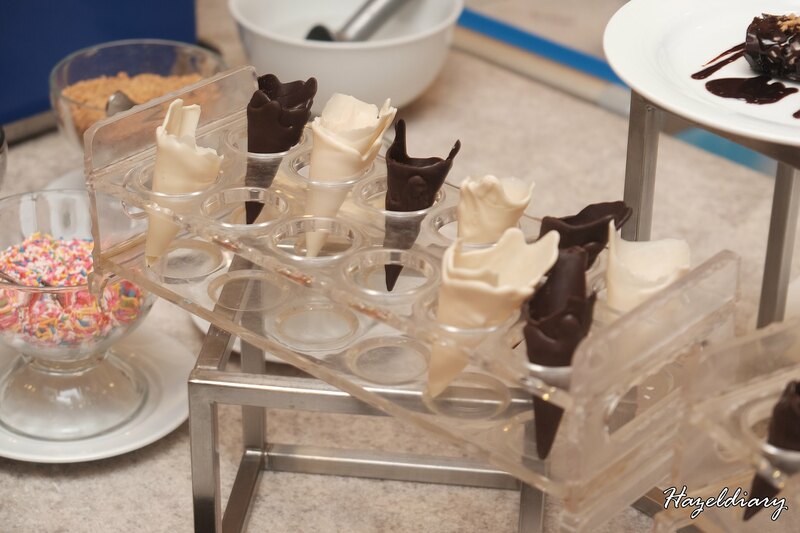 Not to forget their signature chocolate decorated cone ice-cream. 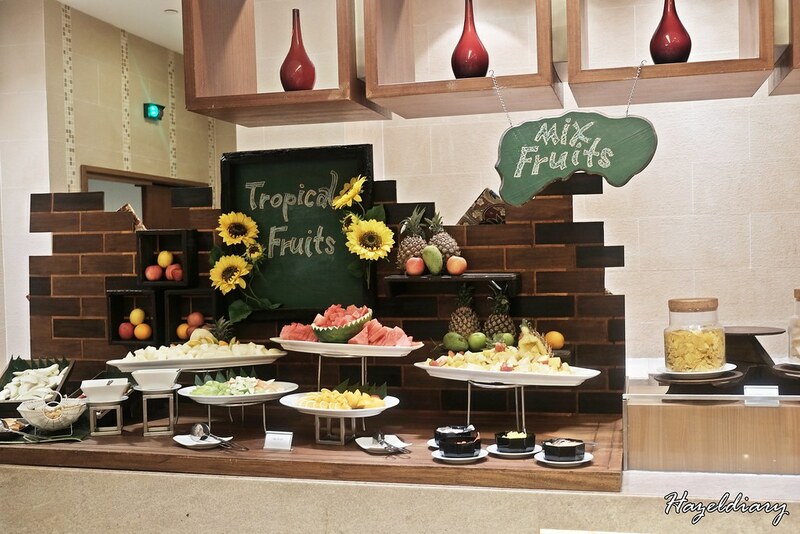 Fruits are available at another corner of the dessert station. 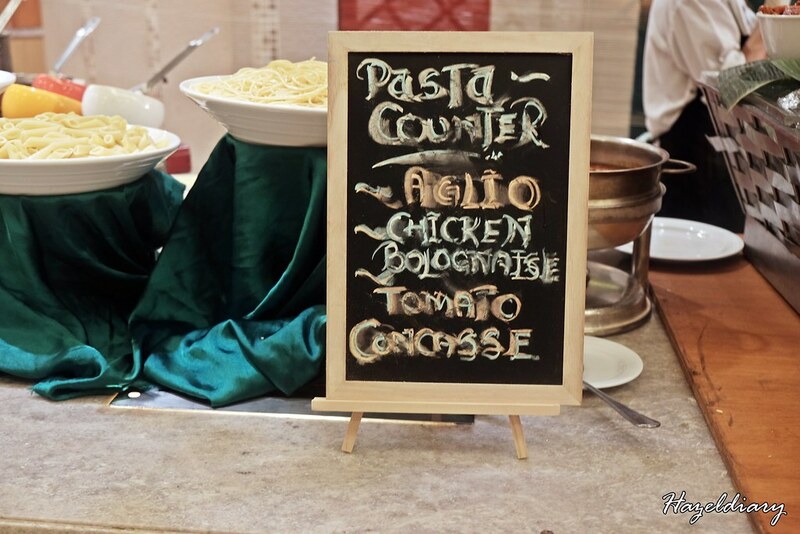 There are also western dishes including pastas available as well. 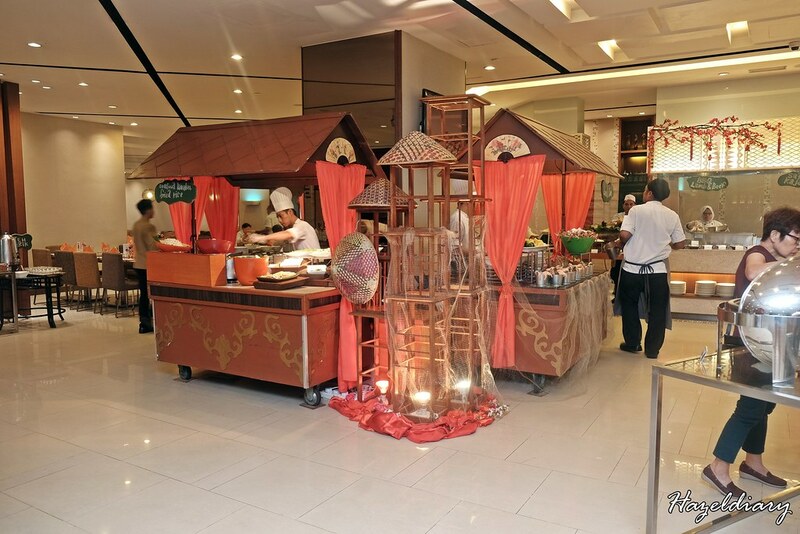 However, I personally feel that the buffet spread focuses more on Asian delights. If you are a fan of local delicacies, check out this place. 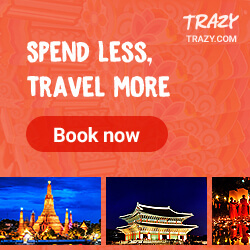 What is the price for Saturdays-only buffet dinner? Senior Citizens(Above 60 years old) – 50% discounts. The price includes free-flow coffee and tea. Click here for more Johor Bahru posts.